Wine Bottle Holder Round Wall Mount 21.5" dia. 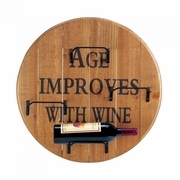 Home > Barware, Beverageware and Bar Accessories > Wine Bottle Holders > Wine Bottle Holder Round Wall Mount 21.5" dia. 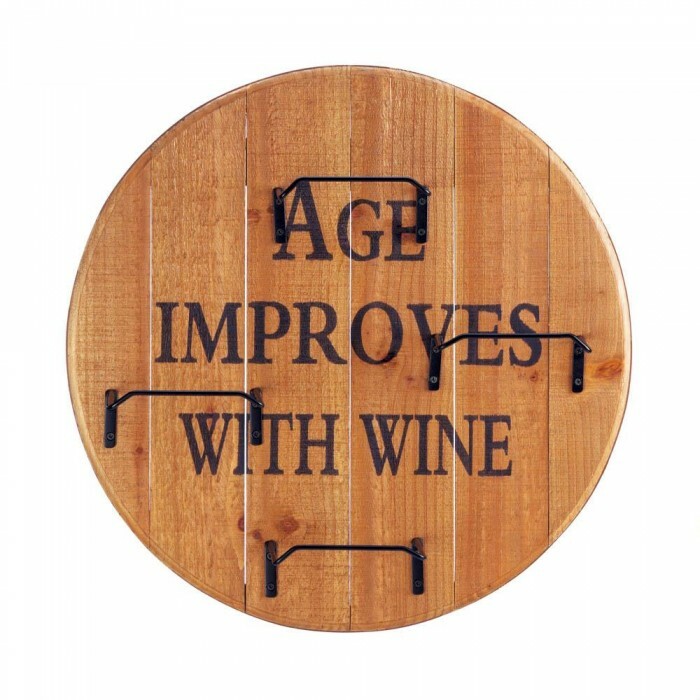 Age improves with wine! This fun wooden wall rack can hold up to 4 bottles of your favorite wine. 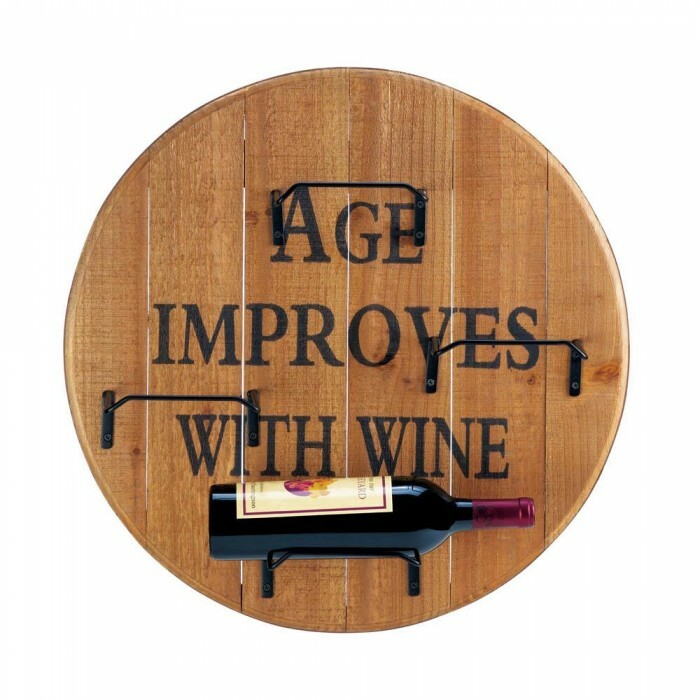 The rustic wood finish of the wall rack is highlighted with the phrase "Age Improves with Wine", and is sure to look great on any wall. 21.2" x 5" x 21.2"